Trusted Tradie Air Conditioning are experts in refrigerated ducted air conditioning (reverse cycle). This means our air conditioners provide comprehensive climate control that is awesome for both cooling and heating local Perth homes. With 30 years of experience, our people are the ducted air conditioning Perth specialists . Perfect Ducted Heating & Cooling Solutions for homes & businesses in Perth, Fremantle, Canning Vale Myaree, Bibra Lake Murdoch Jandakot, Attadale, Palmyra, Kensington South Perth, Attadale Applecross, Cottesloe, Nedlands, Subiaco, West Perth, Wembley, City Beach, Perth CBD, Leederville, Karrinyup Innaloo Osborne Park, Stirling Balcatta, Morley Dianella Noranda, Bassendean Guildford, Midland, Malaga Marangaroo Greenwood, Ellenbrook, Duncraig, Carine North Beach Trigg, Wanneroo, Joondalup Currambine, Hillarys, Ocean Keys Clarkson areas. Ducted reverse cycle air conditioners are great for always keeping you cool in Summer, but many people don’t know that they are similarly one of the best systems for warming your place during Winter. Installation: Why choose Perth’s Best Ducted Air Experts? 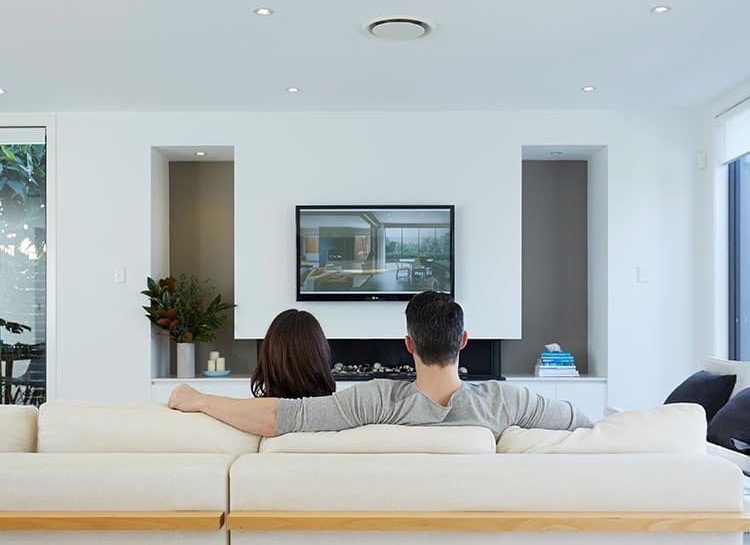 The greatest advantage of refrigerated ducted reverse cycle air conditioning is that it quiet, efficiently and inconspicuously allows you to take total control of your home’s temperature . Ducted AC systems are flexible meaning that you can easily customize them to your precise demands. They offer the best value for money if you compare the area of your home you need air conditioned to their cost. The skilled team at Trusted Tradie Air Conditioning & Heating Perth can advise a quality ducted air conditioning system to suit your budget. 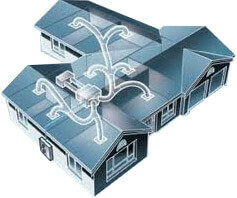 Trusted Tradie Perth Ducted Systems offer very discreet air conditioned comfort. Our systems can be installed in a new home or tailored to suit an existing one, and once set up, only the controller, the return air and discharge grilles will be visible inside your home. Today’s air conditioners can be up to 35 percent more energy efficient than a 10-year old system. Financial savings of up to $700 (residential) and $1200 pa (commercial) may be achived with a new unit. The latest Air Conditioning units are quiet plus will cool and heat your home or business 30% faster. Perth Ducted Air Conditioning Repairs, Service and Installation. Request a Quote: Talk to a friendly Perth sales team. They will visit your home for a free measure and quote, and recommend the ideal system for you. We are a family owned and operated business with over 30 years experience designing and installing air conditioning systems in Perth WA. Servicing Fremantle, Canning Vale Myaree, Bibra Lake Murdoch Jandakot, Attadale, Palmyra, Kensington South Perth, Attadale Applecross, Cottesloe, Nedlands, Subiaco, West Perth, Wembley, City Beach, Perth CBD, Leederville, Karrinyup Innaloo Osborne Park, Stirling Balcatta, Morley Dianella Noranda, Bassendean Guildford, Midland, Malaga Marangaroo Greenwood, Ellenbrook, Duncraig, Carine North Beach Trigg, Wanneroo, Joondalup Currambine, Hillarys, Ocean Keys Clarkson. Need custom ducted climate control AC system in your home, call our Perth Trusted Tradies today.